From high above the sky this Awesome Free Helicopter Applique is making a landing. Your sky adoring loved ones will get a kick out of this propeller flight vehicle when you stitch it on any project. Use crazy and cool patterns to create something unique! Get it for free today only below. 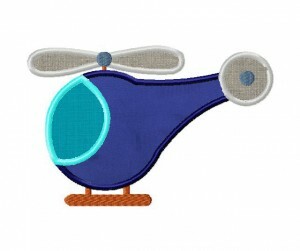 The Helicopter Applique includes PDF color sheet and all of the following sizes: 3" 3.5" 4" 4.5" 5" 5.5" & 6"